John Green: Not necessarily wrong, but still an ***hole. John Green’s comments have echoed about the blogosphere, and a torrent of rage has been unleashed at the disdain he displayed for the indie author. Now, this is a site designed, nay dedicated, to the proposition that there are great indie books out there. So surely I am to add my voice to the chorus of people chanting for Mr. Green’s immolation, right? His statements are, at their core, correct on a number of fronts. Let’s take a look at them, piece by piece. That statement is almost assuredly true. Almost all of the best books I have reviewed on this site have been both copy and content edited. It’s also true that, without the marketing budget that some authors get, it’s very difficult to get traction away from the massive pack of authors that are trying to pitch their own book. I know; I’ve been trying to pitch mine for a year now. He is right; for a select few, the legacy publishing route is like hitting the jackpot. For him, the machinery works, and the result is that he is a very successful YA author. Ok, the language is harsh. He is, no doubt, being an a**hole. But is he wrong? No. This is the business that all of us are in. And he is absolutely correct that in this business, no man is an island. When a person tries to do absolutely everything by themselves, they rarely succeed. Now, let’s stop looking at Green’s disdain for what we do for a moment, and see if there’s a lesson to be pulled from this. We all need a support system, and the legacy publishing system is lovely in that (when it decides to), it provides that support system for the author; the author needn’t look for it. Of course, there are also the horror stories that involve authors having that support suddenly removed. Obviously, Mr. Green is not one of those. The fact is, when we’re out in the indie world, we have to find that support system for ourselves. We blog hop, we link, we comment, we tweet, we facebook, we do all of these things to gain some form of traction. We find cover artists, editors, beta readers, and reading groups to help us polish our work. We have the same sort of support system, albeit not as well funded. A published book, in the end, is not “the creation of an individual soul laboring in isolation.” It’s the work of all of those people. Without them, books tend to be pretty darn worthless. What Green doesn’t see is this community. He is atop his mountain, and he cannot see we peasants laboring beneath him. He thinks that “independent” means “alone,” and in that, he is very wrong. But the it-takes-a-village sentiment of his words? Totally correct, and don’t ever think otherwise. But he is kind of an a**hole about it. *Originally Posted by Frog Jones. Those of you know me know how much I love cyberpunk. OK, Digital Glamour has been really slow to get off the ground. And the more I look at it, the more I realize why. Good, solid, cyberpunkyness has been relegated to the dusty shelf of cliches. It’s right there with men on the moon and writing stories about Mars. We just don’t do it anymore. That is to say, not really. Oh, we’ve got certain abominations running around woobifying the genre, making it Younger and Hipper and More Appealing to a Wider Audience, but on the whole cyberpunk seemed, for a while, like it was dying. I’m beginning to see a glimmer, though. Not a lot, but just enough to make me hopeful. For instance, check this out. Her brain felt like it was being rewired and she stood in front of the mirror staring at herself as the transmitters in the pills did their job. She was glad to have packed a small prescription bottle in her purse containing a cocktail of pretty colors. It had proved, as she was sure it would, that the stress of perfection was too much. It was a cost Amelia couldn’t pay on her own. It was a price too expensive for even a general’s wife. and I am pretty excited. Pills with transmitters rewiring brains to achieve perfection? Yes, yes a million times yes. Bring back my dangerous tech, my overreaching corporate-controlled governments. I don’t know where my readers stand politically, and frankly I don’t care that much. My reviews and my works have little or nothing to do with politics. But I think everyone has to admit that our tech is getting frighteningly close to the tech that causes so many social problems in a good cyberpunk, and without material like that, how can our society begin to think about what it should do when those days get here? So, bravo young cyberpunk authors. Go forth and explore ethically grey areas of the near future. Show me dystopias, and characters dealing with dystopias in different way. As soon as The Deceiver is out, I’m putting it on the review list. And remember: I’m always open to new submissions to Digital Glamour. Slow does not mean stopped. You’re probably wondering where I’ve been this last month. About three days before SpoCon, we got the edits back from SA Bolich. Now, Ms. Bolich is an experienced professional, and both Esther and I have enjoyed her Masters of the Elements series to date. (Since you’re waiting for us to publish, go check them out). We respect her a lot. She sent our manuscript back with a letter that began by telling us how much she liked the book. That was a good opening. Now, Ms. Bolich’s actual issues with us were much more specific than that. But that’s what the letter felt like. Then we read through her edits, and it felt like we were up against insurmountable odds. This, right here? This is make-or-break time for a new author. Getting constructively gut-punched is a rough feeling. We thought we were ready for it; it’s not like we haven’t been doing it to each other this whole time. We weren’t, though. Emotionally, it took its toll. That said, it’s not like Sue was wrong. In fact, she was dead on. We did have a great book. Our only problem was that it sucked. SpoCon, the place that started us, really came to our rescue here. Every author there told us that the moment you receive the book back from the editor is the most disheartening moment you can have, but also the best opportunity you have for improvement. Once we started to look at the time and effort Ms. Bolich had put into improving our work, it made us realize that she really did think there was something worth saving in there. As we went through and revised, it was like a sculptor peeling away the rough chunks of stone to reveal the sculpture underneath. Grace Under Fire is ten times better now than it would have been had we self-published it. At some point during your revision, you know the story so well that you can’t see the reader’s perspective anymore. It’s almost impossible to tell what a reader is going to do their first time through, because this is your hundredth time through and you already know everything. That’s where the professional editor comes in really handy. 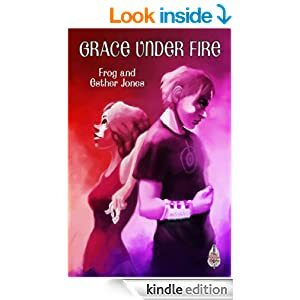 Grace Under Fire would have been a good book had we self-published. Thanks to Sky Warrior Books and SA Bolich, it’s going to be a great one. And when you get your book back from the editor, take a deep breath, then start in. It’s going to be a better book for it. Time isn’t your worst enemy- you are. Those words are especially true when it comes to writing. It’s easy to get caught up in the unfinished chores, the outstanding bills, the things that break down, and the weirdness of life in general. Writers need to make time in their lives for writing, otherwise it isn’t going to happen. I’ve really thought about this lately, because I’ve talked to several aspiring writers over the last few months, many of whom had various unfinished manuscripts rattling around. Manuscripts which they just don’t think they’re going to finish. One recurring theme keeps popping up. For one reason or another, they haven’t made time in their life for sitting down and writing regularly. I’m not saying writers have to have a particular time of day to write, or even a schedule. But writing has to be somewhere in the top of the priority list, if its going to go anywhere. It can’t be down at the bottom underneath everything else that needs to get done. It will get pushed off again and again in that scenario. And writing has to be done consistently, or else of course you’re going to forget where your characters are, or what you were doing with a particular plot point. Maybe some of these writers are at a point in their lives where they’re just not ready to give the time commitment necessary to complete a novel or even a short story. I’ve been there before myself. I can’t even try to deny it. But make no mistake, when someone says, “I just don’t have time to write,” what they’re really saying is, “Writing isn’t as important to me right now as x.” Where x can be any number of truly serious things including, health, children, family, work, etc. My point is, no matter what is going on, that mythical place where you have all the time in the world to sit down and write is never going to happen– unless you make it happen. There’s another benefit to writing regularly. You get better! I personally write much rougher prose when I’ve taken several weeks’ break from my desk. Then miraculously, as I get back into my habit, it starts to clean up with little conscious effort from me. I have no idea why it works that way. But it does. There will always be other things happening. If you want to finish a novel, make the time to write, and then actually do it. It sounds so simple, and yet, it never sounds easy. There’s an age-old, tried and true, writing idiom – write what you know. But that doesn’t mean what we write has to be boring. Successful writers and artists have a knack, a skill, for taking every day situations and exaggerating (or understating) them just enough to give a new and interesting perspective. Norman Rockwell was especially good at this. Just looking at one of his painting you know immediately who painted it. And yet most of his paintings are based off of black and white photos of everyday life. He saw those ordinary photos and evolved them into something much more than their originals. Those scenes have an inherent poignancy when transferred to his canvas. Writers do this same thing. We take something that could be quite ordinary and (hopefully!) transform it into something extraordinary that touches readers’ hearts. Sue Bolich also talks about this, and how obnoxious weeds inspired something entirely different in her writing. Her persistent fight with a force of nature became the heart of her recent novel. Sometimes, especially as a beginning writer, it is easy to get discouraged and think you have nothing new to add to the dialogue. Personally, I dislike conflict, and I’m quick to back down if someone questions my views. Especially if that person is older, or has more experience, or any number of reasons my little self-doubting brain can come up with. The truth is, no one views events quite the same as anyone else. We all have quirks and backgrounds which color our perceptions. Those perceptions color our writings, whether wanted or not. If you gave my sister and I the same novel outline as a project, I am confident that the resulting novels would still be entirely different. They might have similar pit stops, but they’d be different. Just like no two vacations are the same, even if you go to the same place at the same time of year. Now this isn’t to say you shouldn’t take good advice. Readers and editors whose advice you trust are also absolutely essential. Be true to the trust you put in them, and why you picked them, but also be true to yourself. It’s OK to say, “I trust this person’s judgement, and this passage didn’t work. Based on their feedback, I’m going to change it.” I’m just saying not to get discouraged by that feedback, and remember at all times that the ultimate goal is an (extra)ordinary story you loved to tell, and share with others. No one else will transform your world in quite the same way. Because it is their passion. And I think that’s true. I think the number one priority as a writer is to find the story you want to write, and tell it as best as you can. But to me, once you’ve revised so much that you can’t see straight, and you send it off to the waiting arms of potential publishers, (or readers, if you self-publish) the job is only half done. You have poured your soul, your sweat, sometimes your exhaustion into that story. If they reject it, you have more work to do, and more story craft to learn. If they don’t, well… this is where the hard work really begins. I realize I am a young grasshopper in the writing world. But if a publisher takes our story, and puts it out to readers, I feel as an author that I have a duty to that amazing story I’ve tried to tell, and to that publisher who is willing to take a chance on us, to try and make sure that readers at least know the story exists. Thus, I think book promotions and knowing if your book promotions are effective, are also an essential skills of a successful author. If your book promotions aren’t effective, you’d be better off saving that energy on trying a different tactic, or if absolutely nothing is working, or putting that time and energy back into your writing. If you aren’t paying any attention, then you won’t know when you’re wasting your time and your energy. More importantly, you won’t know when you’re missing an opportunity to write more books! Not all promotions are a sales pitch. I don’t think an Amazon rating is everything, nor do I think checking it every hour helps you sell more books. I do think that knowing where your sales are coming from and how you got them is an incredibly powerful tool that will help you sell more books in the future. And guess what! I would like to sell more books, because it will give me the freedom to write more of what I love. 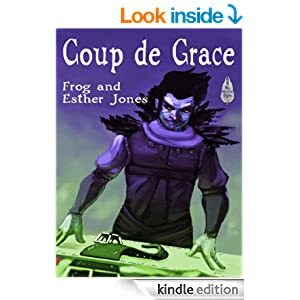 It is my dream for Frog and I to be able to write books, go to conferences or workshops and talk about books, and then go to conventions, and meet other people who love books as much as we do. I’d love to treat writing like a business, because it would mean we were actually able to support ourselves with just writing! I am a dedicated worker wherever I am. Why can’t I throw even more dedication at writing? Until I am an older grasshopper, and someone can show me otherwise, I can’t believe being good at the business side of writing could possibly be a handicap. I believe that great books sell because they are great, but someone has to pick up the first copy and tell other folks about it. Book promotion and understanding why your promotions work can help make that happen.